We have known for some time that American relations with Saudi Arabia are less than ideal. Despite Barack Obama’s promise back in 2008 that he would cause people the world over–especially those people located within the borders of nation-states allied with the United States–to like us once again (presuming that we were as hated as the current president of the United States and his political friends claim we were), the Obama administration’s charm offensive clearly has not worked when it comes to Saudi Arabia. 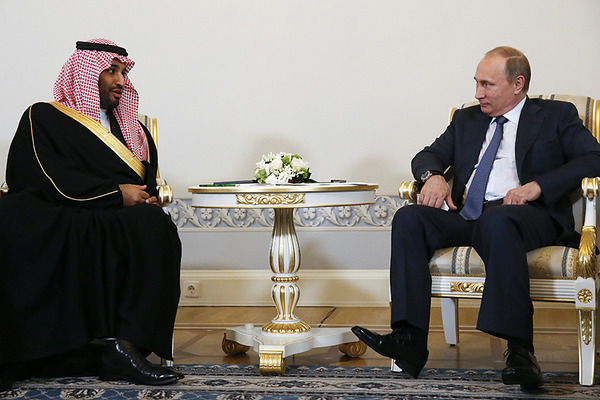 And while it is bad enough that the Saudis no longer trust us as they once did, it is even worse that they may well be cozying up to the Russians. Some experts perceive signs of an “emerging partnership” driven by shifting global winds, in which Saudi cash helps Moscow dodge Western sanctions, while Russian arms, engineering expertise, and diplomatic support assist the energetic new Saudi king to wean his country from dependency on an increasingly uncooperative US. “For Russia it’s very important to position itself as a regional power that can talk to all sides. At the same time, we see that many Middle Eastern states are disaffected with US policies, and they want to have Russia around. For the Saudis, this is mostly about sending a signal to Washington, not switching partners,” she says. Currently, Russia, China, the US, Britain, France, and Germany are in down-to-the-wire negotiations with Tehran for an accord that would end Iran’s alleged nuclear weapons program. All signs suggest that Moscow is an enthusiastic backer of that projected agreement, and is actively positioning itself to rush into the Iranian market once the country’s isolation is lifted. It’s already greenlighted a deal to sell S-300 air defense systems to Iran, and another to build up to eight new nuclear power stations in the country. I would like to think that this is all gamesmanship, and that the Saudis will continue to choose to ally themselves with Washington instead of with Moscow. But there is little question that these days, Riyadh feels used and alienated by the Obama administration. At some point, the Saudis may well decide that they have had quite enough of an alliance with the United States. The question is whether the Obama administration possesses the diplomatic skill to ensure that they does not come. At this point, quite frankly, it’s anyone’s bet as to whether or not it does.